In 1884, with the support of his mother, Karl Elsener opened a small cutlery shop in Ibach, Switzerland. Following Victoria’s death in 1909, Elsener introduced the cutlery brand “Victoria” in her honor and registered the red cross and shield emblem as a trademark in more than 120 countries. The name later changed to Victorinox and the famous Swiss Army Company was truly born. After the worldwide success of the Swiss Army knife, Victorinox introduced timepieces into their business in 1999. The functionality, precision, and sophistication of Victorinox timepieces prove them to be exceedingly useful and exceedingly timeless. 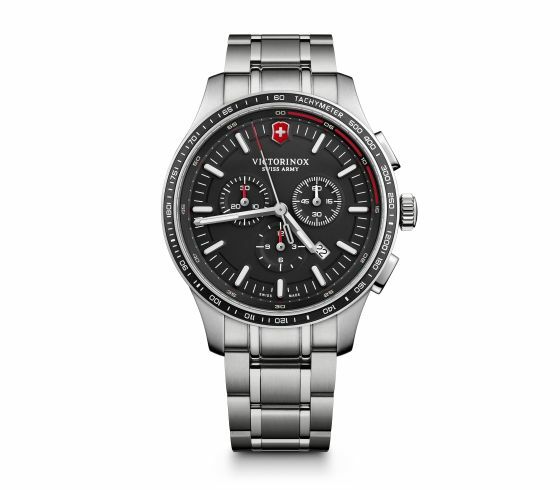 Designed and manufactured with an incredible attention to detail, Victorinox continually meets the highest standards of the Swiss watchmaking industry.